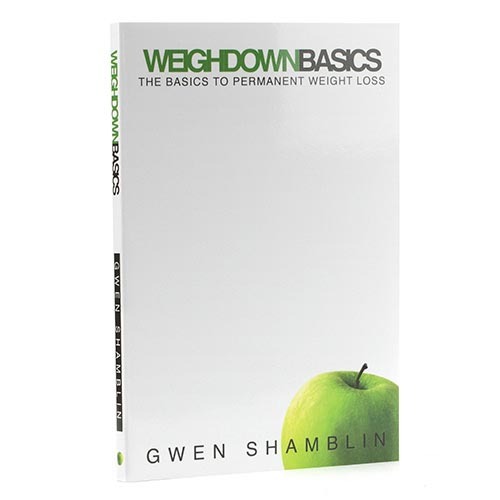 Weigh Down Basics Workbook with lesson summary, scriptures, questions and charts to help you apply the video lessons available through WeighDown All Access! Select Your format - PDF Download for your computer/mobile/tablet devices or have a softback copy shipped to you. from LONDON Simply the best for permanent weight loss! I was first introduced to this workbook and the corresponding video on Weigh Down all access through my Weigh down class :-co-ordinator....I remember how it helped me lose 9/10 lb in just a few months of using the principles contained here about 80% of the time. It has everything I needed...answers to why I was overeating, how to shrink my focus off the food and on to God, how to recognise ways of escaping from eating beyond full and the blessings that come from following these God given principles....this workbook is simply the best thing on the market for permanently getting rid of excess weight. No doubt!